Tyler Barriss was sentenced to 20 years in prison on Friday for his part in a fatal "swatting" incident. Tyler Barriss will serve 20 years in federal prison for making a fake phone call that led to a fatal shooting by Wichita police in 2017. Barriss, 26, was sentenced Friday morning after pleading guilty last year to more than 50 federal charges related to fake calls and threats in two states and the District of Columbia. Barriss routinely participated in a practice called “swatting,” which is intended to draw a large police presence to someone’s house as a practical joke. It often is associated with the online gaming community. Authorities said Barriss called Wichita police from his home in California in December 2017. He told them that he had shot his father and was holding family members hostage, all of which was false. When police arrived, Andrew Finch came out of the house to see what was happening outside. Officers told Finch to raise his hands; when he lowered them, an officer fatally shot him. Finch did not know Barriss or the other men involved in the swatting episode. No charges were filed against the officer. Finch’s family has sued the city in federal court. "I think the biggest solace," sister Dominica Finch said after the hearing, "would be getting the laws changed, holding the police accountable." U.S. Attorney Stephen McAllister speaks to reporters after the sentencing hearing on Friday. U.S. Attorney for Kansas Stephen McAllister said Friday the 20-year sentence was "by far, the longest prison sentence in the country ever imposed for the practice of swatting. "We hope that this will send a strong message about swatting," he said. "Swatting, as I've said before, is not a prank. Sending police and emergency respondrs out on completey false information ... is not only wasteful and senseless, but can be tragic." Barriss told authorites he was asked to “swat” Shane Gaskill of Wichita after Gaskill and Casey Viner of Ohio got into an argument while playing an online video game. Gaskill dared Barriss to swat him, according to court documents, and then gave him a false address. It was the house where Finch lived. Gaskill and Viner are awaiting trial on federal charges of obstruction of justice, wire fraud and conspiracy. In court Friday, Barriss apologized to Finch’s family. "Whether or not I pulled the trigger, I take full responsibility for what happened," Barriss said. He said he regrets the call every day. "If I didn't make a call, none of that would have ever happened,” he said. Barriss' defense attorney Richard Federico called Barriss a "serial swatter," and said he likely had done it for so long without incident that "he probably thought, 'what's the harm?'" Barriss also faced an involuntary manslaughter charge in Sedgwick County District Court over the incident. 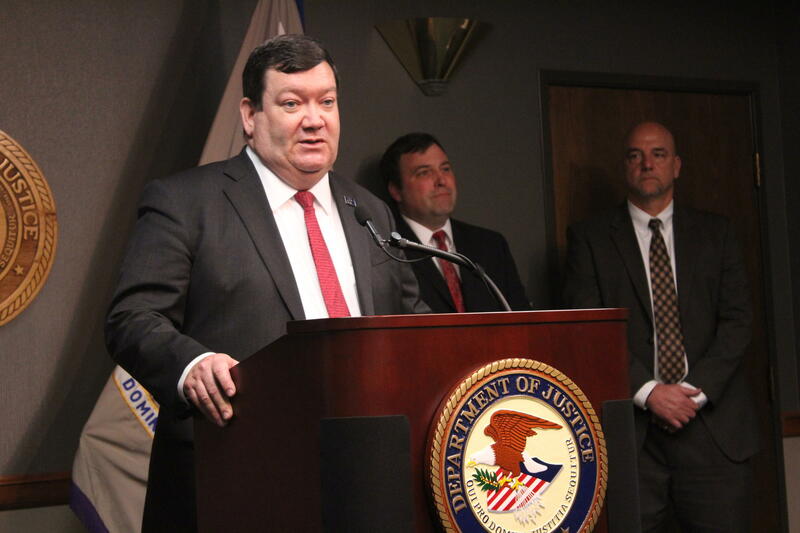 That and other state charges were dropped Friday as part of a global resolution that encompassed all 51 federal charges across three jurisdictions. Sedgwick County District Attorney Marc Bennett said the federal penalty was more severe than any penalty Barriss might face in state court. The Wichita Police officer who killed a man during a swatting incident last December will not face criminal charges.